February 7 – Germany’s Bundesliga and Bundesliga 2 have notched up record attendance levels for the first half of the season, beating their 2017/18 record. In total 9.418.148 tickets have been sold by the 36 professional clubs an increase of about 220,000 tickets or 2.4%. The figures include free and complimentary tickets. “The average number of tickets sold per Bundesliga match declined moderately by 2,8 per cent to 42,217 compared with the previous season, meaning the Bundesliga remained the undisputed leader among Europe’s top leagues (average attendance per game). 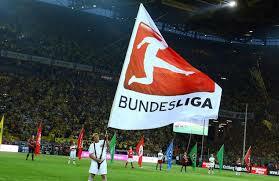 At the same time, demand in Bundesliga 2 increased significantly by 15,9 per cent season-on-season to 19,339 tickets sold per match,” said the DFL. This change was due to Hamburger SV and 1. FC Köln were relegated from the Bundesliga being relegated and replaced by the smaller stadia of promoted clubs FC Nürnberg and Fortuna Düsseldorf. Eintracht Braunschweig and 1. FC Kaiserslautern were relegated from Bundesliga 2 while SC Paderborn 07 and 1. FC Magdeburg were promoted from the third division.